The restaurant / bar "Le Coffee", in the Sefcotel building, offers gourmet quality cuisine with a wide variety of meat and seafood dishes. The delicious legendary homemade burgers are a must during a stay in Tignes. The style inside the restaurant is modern and tasteful with several comfortable and cosy eating and drinking areas. 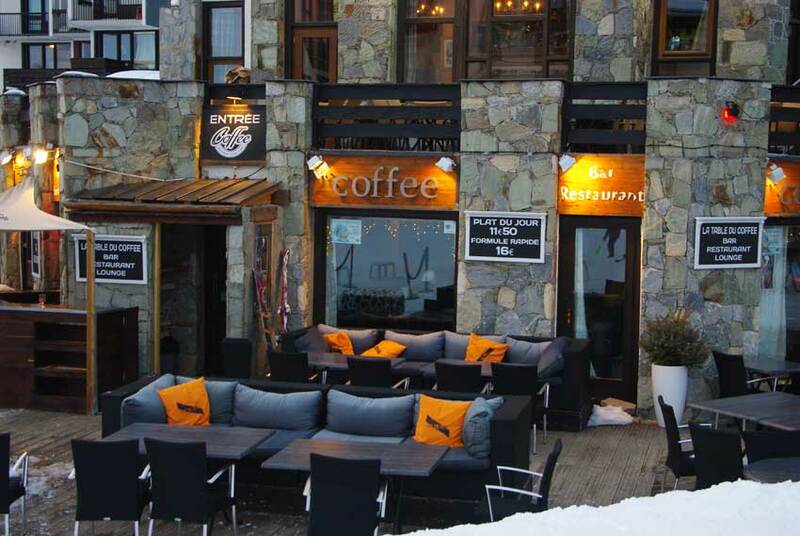 Outside, the large sun terrace, right next to the ski slopes, is perfect for a festive après-ski aperitif, when there is often a DJ or live music.